Carry a Classic Coat: Wearing a classic winter coat can perform wonders in both comfort and fashion. When the winters are chilly you cannot see outdoor elements without wearing your coat, therefore it is essential that your winter coat flatters your style statement thus giving you good impression. A classic coat will last for many years, so make sure not to compromise in order to save money. Quick Tip: You can dazzle your look by wearing your classic coat with a pair of Premium Leather Brown Bullock Shoes. If you are short in height and hesitate wearing overcoats, now you can effortlessly add 2 to 3 inches to your height by wearing height increasing shoes for men. It is not necessary to wear clothes with extra pounds in winters. Prefer wearing stuff which can provide you warmth as well as makes you look stylish. Now a days there are many clothes which provide an extra layer of warmth than those garments which are lacking; wool clothes provides an extra insulation and many attractive knits can be found at a very reasonable price. Quick Tip: Even chunky knits can work as long they don’t give you a bulky look and are well-constructed. Accessories are an important touch-up for your look and your comfort. Scarves, hats and gloves will keep you warm and also protect you from the elements while completing your outfit. A pair of lined leather hats and gloves in a dark brown and classic black will complement most of your outfits. 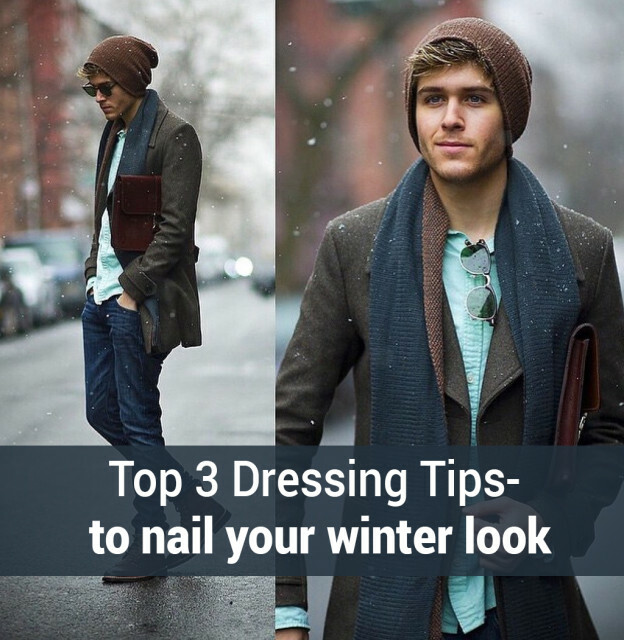 Quick Tip: You can go for basic colors like dark, neutral and at least one colorful scarf; hats should be selected according to different weather conditions. Suit up yourself because it's time to be stylish!